Facial fillers (also known as dermal fillers) use a natural gel to smooth out wrinkles, folds or scars to give your face a younger, refreshed more plumped appearance. Dermal filler is a naturally occurring hyaluronic acid gel that is injected into the face to smooth wrinkles and folds (especially around the nose and mouth). It is also used to plump out scars/dents in the face and to define and enhance lips, or define and plump out cheeks. If you are looking for lips fillers in Essex we can help. Stephanie will inject small quantities of filler into the areas where you have lines/wrinkles or indents. 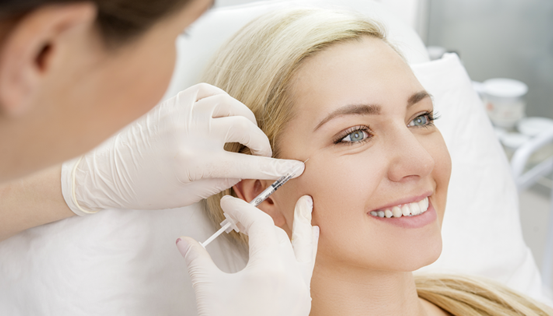 The filler contains local anaesthetic, which makes the process relatively painless. It should take approximately 20 minutes and the effects are instant. Smoothed out lines and wrinkles, producing an instant effect that will leave your face feeling younger, fresher and looking more youthful than ever before. Most patients need one treatment and the results last about 9 months to 1 year. Yes, as long as a qualified professional administers them. The hyaluronic gel is completely natural, and over time will slowly dissolve, causing no harm to you. Most side effects are mild and temporary e.g. redness, mild pain, slight swelling. Dermaroller® is specifically designed to improve the appearance of skin with wrinkles, stretch marks, acne scars and sun damage. Try a genuine Dermaroller® treatment for smoother, brighter, and more youthful skin. 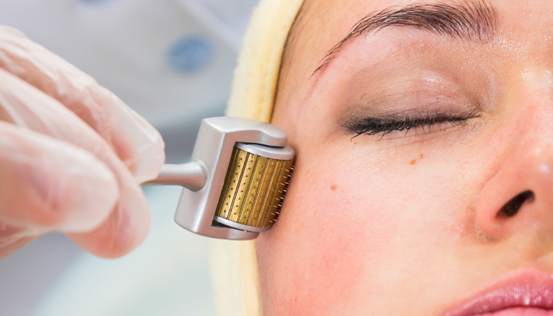 Dermaroller® (also known as micro-needling) can be used to treat face and body and provides an effective way to reduce the visibility of lines, wrinkles, acne scars, stretch marks, and sun damage. 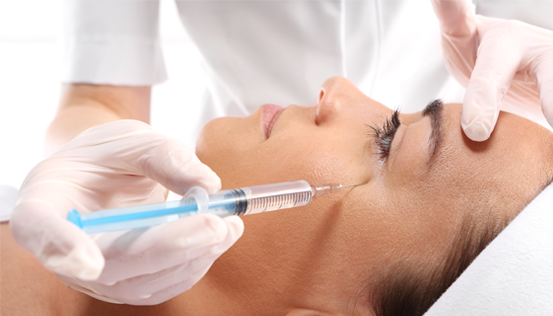 It is a well-known, hugely popular treatment that gives outstanding results within four to six weeks. Better still, your skin will continue to improve over the months that follow! 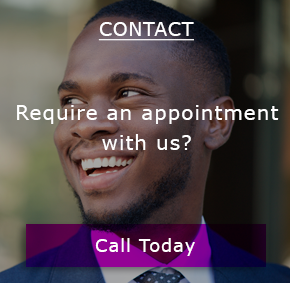 We generally recommend a course of four treatments (roughly one treatment every six weeks). The Dermaroller® procedure can help improve the appearance of stretch marks (anywhere on the body), wrinkles, fine lines, sun damage, and acne scars. 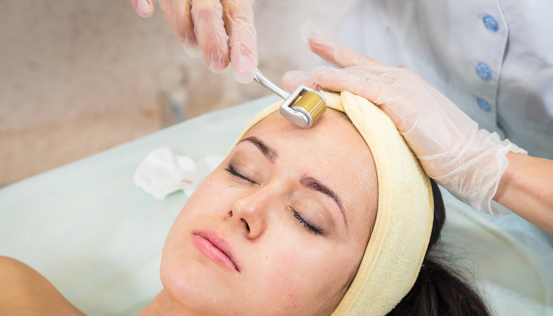 What does the Dermaroller® treatment involve? 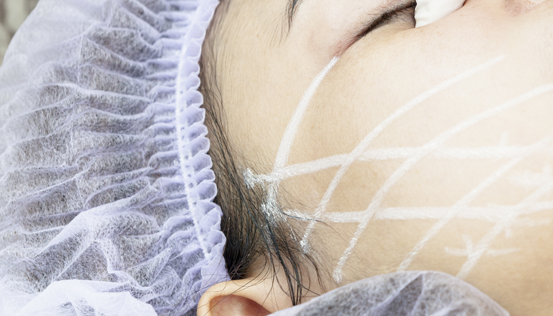 To begin with, we will use a topical anaesthetic cream to numb your skin before treatment commences. Once the anaesthetic has taken effect, the Dermaroller® will be rolled over your skin, puncturing it with thousands of tiny micro-needles. By causing mild damage to your skin in this way, we trigger a healing process that rejuvenates the skin, encourages collagen production, and reduces the appearance of lines, wrinkles and imperfections. It is uncomfortable - however the anaesthetic helps to minimise any discomfort caused by the micro-needles. One Dermaroller® session lasts for around 40 minutes, although this may vary depending on which part of your body we treat. For example, a hand or neckline treatment will take less time than a facial treatment and a lot of that time is allowing the anaesthetic to take full effect. Dermaroller® is suitable for all skin types. However, it can cause sensitive skin to become irritated, so it may not be appropriate for people who suffer from skin allergies. Dermaroller® is unsuitable for pregnant/breastfeeding women. Polydioxanone (PDO) is dissolvable suture used in heat surgery. In the face, it firms the skin over 12 weeks as it is turned into collagen which lasts for about 2 years. Mini screws and threads and cogs hive prickles which ca grip the skin and lift about 10%. He PDO threads can be used in the face as well as the body.